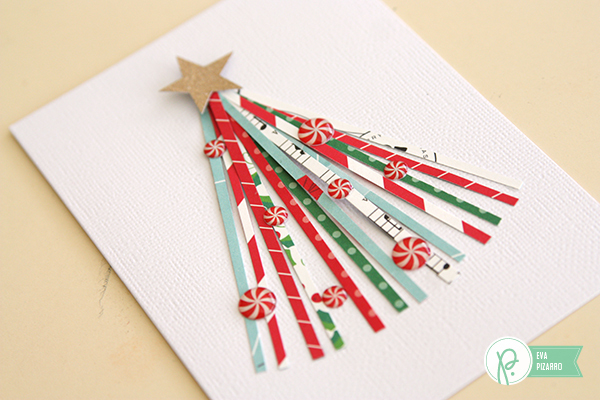 Christmas Cards with scraps of paper - Pebbles, Inc. Welcome to the Pebbles blog! 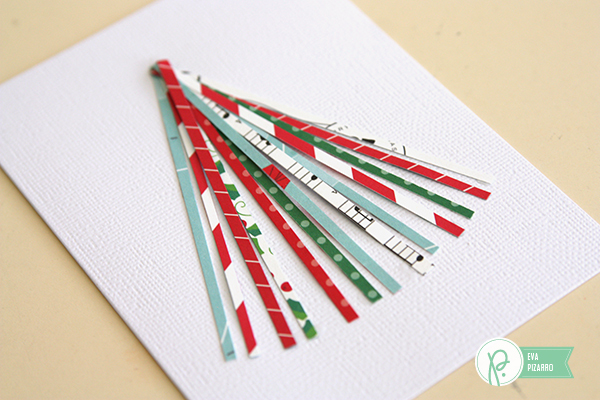 I’m Eva Pizarro and today I am going to show you how to use all those leftover little scraps of paper to make a super easy Christmas card. No matter how much I try to cut it down, my scrap pile gets bigger and bigger every time I make something. So I like to use little pieces of paper to make cards and small embellishments. 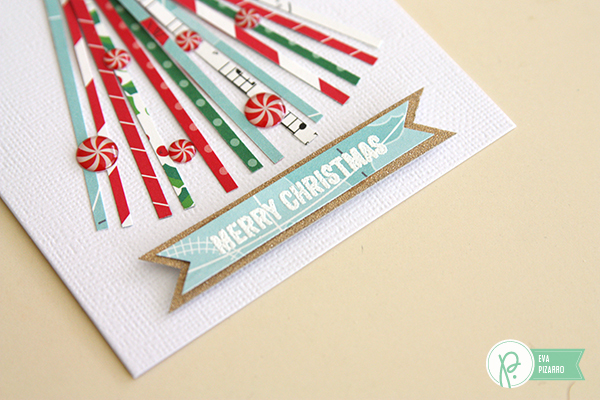 To make this card, trim very narrow strips of paper and cut them all to fit your card – mine were almost 4 inch long. Place the first and the last strip and then glue the other ones to fill the tree. The easiest way to do this it with liquid glue on both tips. 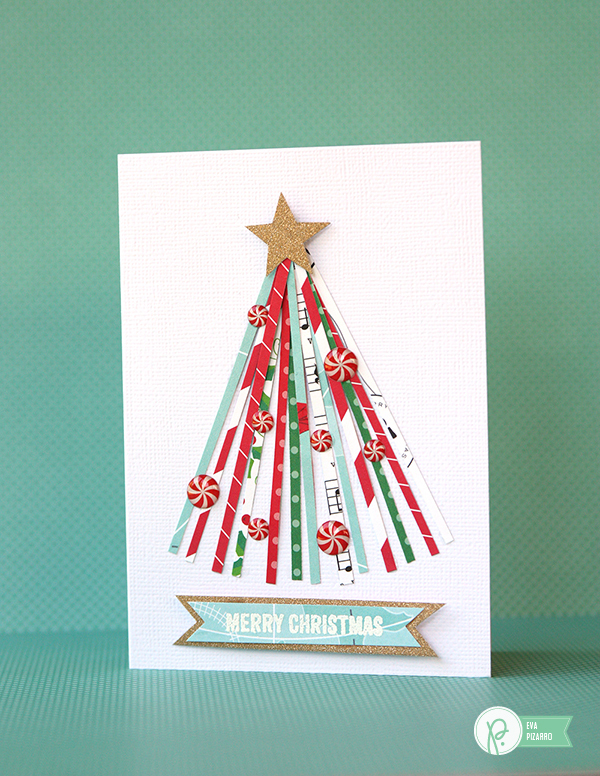 Embellish your tree with a star on top and some candy dots. 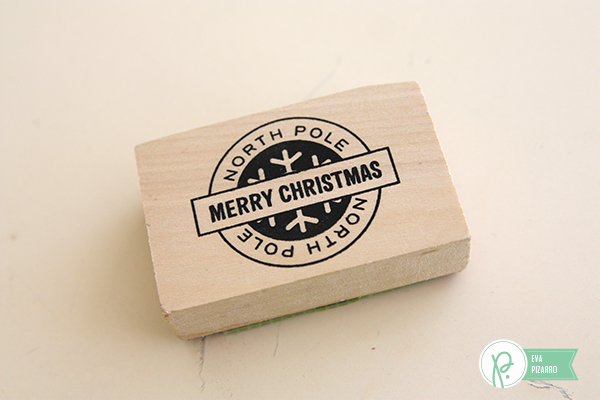 I only wanted to stamp the words, so I covered the parts I didn’t want on my stamp with some washi tape. 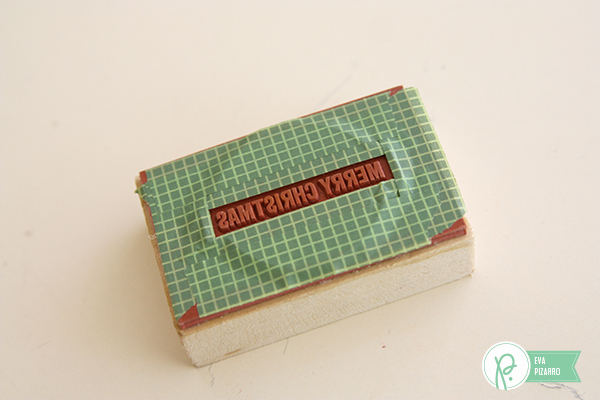 Then I put embossing ink on it and removed the washi tape. I hope you like these cards! They are super easy and fun! Great idea with masking off the sentiment!! Beautiful card! super cute! 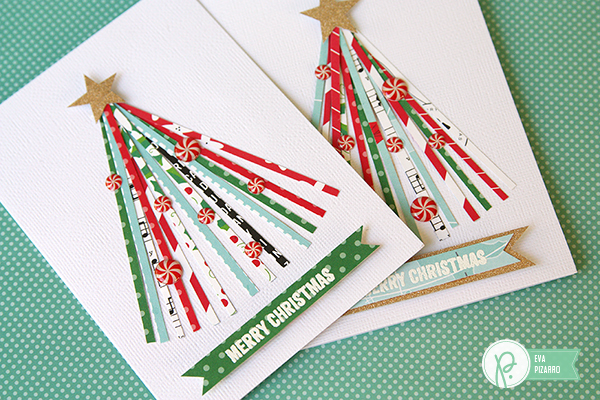 Simple with such a great festive impact! Love this idea. I have tons of scraps. I’m going to use it this year. Thank you. I’ve saved this idea. I’m very enviro conscious and use everything up.This fits that criteria. Super cute and such a great use of scraps! Lovely way to use up scraps!